​​HAIL JOSEPH, Son of David, the Just and the Chaste! Wisdom is with you. Blessed are you among all men, and blessed is Jesus, the fruit of Mary, your faithful spouse. ​HOLY JOSEPH, worthy Foster Father and Guardian of Jesus Christ and of the holy Church, pray for us sinners and obtain divine Wisdom for us from God, now and at the hour of our death. Amen. Saint Joseph, foster father of Jesus Christ and true spouse of the Blessed Virgin Mary, pray for us and for the dying of this day. 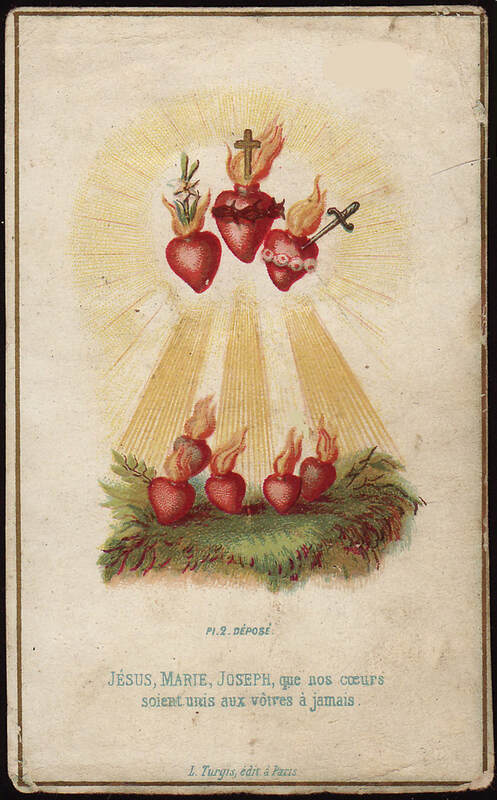 ​Sacred Heart of Jesus, ​Immaculate Heart of Mary, and Chaste Heart of St. Joseph, ​I consecrate to you this day +my mind, +my words, +my body, +my heart and soul, so that your will be done through me this day. Amen. This chaplet is composed of seven mysteries in which we contemplate the seven joys and seven sorrows that St. Joseph had in the world. After the prayer for each mystery, we pray 1 Our Father, and ten "Hail Joseph" (above) and one Gloria Patri. ​1. St. Joseph, by your sorrow and joy at the virgin Mary's pregnancy, be my guide through life and death. ​2. St. Joseph, by your sorrow and joy at Jesus' birth, be my guide through life and death. ​3. St. Joseph, by your sorrow and joy at the circumcision of Jesus, be my guide through life and death. ​4. St. Joseph, by your sorrow and joy at the prophecy of Simeon, be my guide through life and death. ​5. St. Joseph, by your sorrow and joy at the flight into Egypt, be my guide through life and death. ​6. St. Joseph, by your sorrow and joy at the return from Egypt, be my guide through life and death. ​7. 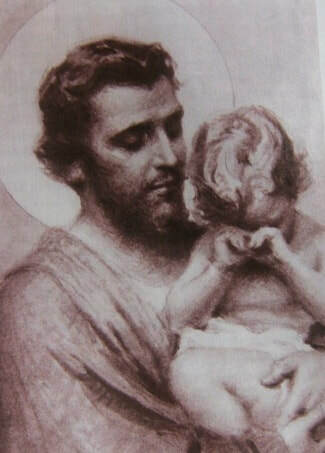 St. Joseph, by your sorrow and joy at the loss and finding of the child Jesus in the temple, be my guide through life and death. ​"Spread this prayer to the whole world. Through this prayer, God wishes my name to be more known and loved. He also wants to bestow many graces through it upon those who will honor me y praying it. Those who will pray this prayer will be given many graces from Heaven. Through it, I will be often invoked by the whole world and I will be able, by my loved and honorable heart, to grant many graces to sinners who are in need of divine help. It is important that this prayer is made known to everyone. May it reach everywhere, so all people can enjoy the goodness of God through it. This is His Most Holy Will that I am revealing to you." 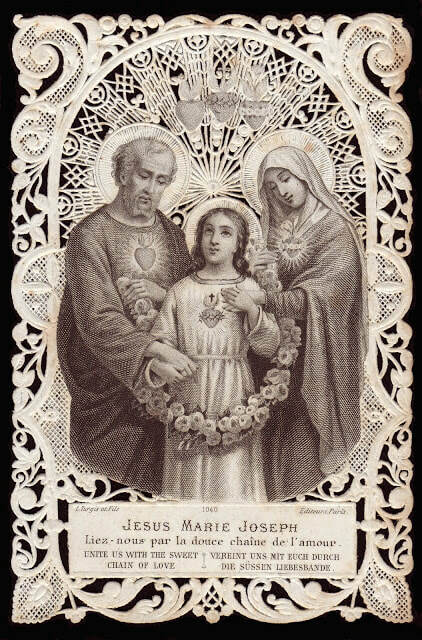 "I wish the first Wednesday after the Feast of My Sacred Heart and the Immaculate Heart of Mary be the Feast of the Most Chaste Heart of Saint Joseph." ​The Scapular of St. Joseph was revealed on July 14, 2000 in the Sanctuary of Our Lady of Mount Carmel in Aylesfort, England in the same place where St. Simon Stock received the brown scapular. The revelation was repeated on July 26, 2001 on the Feast of Our Lady of Mount Carmel in Sciacca, Italy on the occasion of the 75th anniversary of the delivery of the brown scapular to St. Simon Stock. The scapular is a sign of protection and devotion to the Heart of St. Joseph, who wants to lead us to God and to holiness, emphasizing his virtues of purity, obedience, silence, and humility, and igniting the flame of faith and love for Jesus and Mary. St. Joseph will protect those wearing the scapular as his property and will bestow innumerable graces, especially upon those who will be tempted against purity. Young people are especially encouraged to seek his protection by this means, keeping in mind that Joseph was the protector and guide of the child Jesus while on earth. 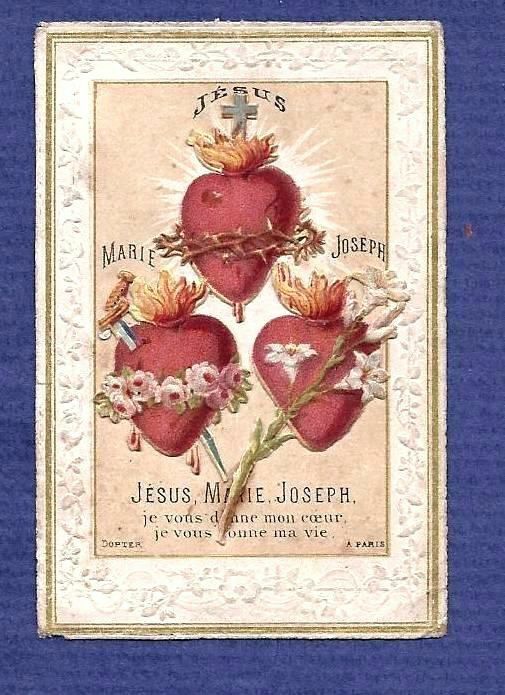 ​Deeds of charity, especially for the sick and dying, complete the devotion to the Heart of Joseph. On the First Wednesday of every month, special graces are available to those who appeal to Joseph on that day. Ever blessed and glorious Joseph, kind and loving father and helpful friend of all in sorrow! You are the good father and protector of orphans, the defender of the defenseless, the patron of those in need and sorrow. Look kindly on my request. My sins have drawn down on me the just displeasure of my God, and so I am surrounded with unhappiness. To you, loving guardian of the Family of Nazareth, do I go for help and protection. ​Listen, then, I beg you, with fatherly concern to my earnest prayers and obtain for me the favors I ask. I ask ​it by the weariness and suffering you endured when you found no shelter at the inn of Bethlehem for the holy Virgin, nor a house where the Son of God could be born. Then, being everywhere refused, you had to allow the Queen of Heaven to give birth to the world's Redeemer in a cave. ​I ask it by the loveliness and power of that sacred Name, Jesus, which you conferred on the adorable infant. ​I ask it by that painful torture you felt at the prophecy of holy Simeon, which declared the Child Jesus and His holy Mother future victims of our sins and of their great love for us. ​I ask it through your sorrow and pain of soul when the angel declared to you that the life of the Child Jesus was sought by His enemies. From their evil plan you had to flee with Him and His Blessed Mother to Egypt. I ask it by all the suffering, weariness, and labors of that long and dangerous journey. ​I ask it by all your care to protect the Sacred Child and His Immaculate Mother during your second journey after you were ordered to return to your own country. I ask it by your peaceful life in Nazareth where you met with so many joys and sorrows. ​I ask it by your great distress when the adorable Child was lost to you and His Mother for three days. I ask it by your joy at finding Him in the Temple, and by the comfort you found at Nazareth while living in the company of the Child Jesus. I ask it by the wonderful submission He showed in His obedience to you. ​I ask it by the perfect love and conformity you showed in accepting the Divine order to depart from this life and from the company of Jesus and Mary. I ask it by the joy which filled your soul when the Redeemer of the world, triumphant over death and hell, entered into the possession of His kingdom and led you into it with special honors. ​I ask it through Mary's glorious Assumption, and through that endless happiness you have with her in the presence of God. ​O good father! I beg you, by all your sufferings, sorrows and joys, to hear me and obtain for me what I ask (here make your request). ​Obtain for all those who have asked my prayers everything that is useful to them in the plan of God. Finally, me dear patron and father, be with me and all who are dear to me in our last moments, that we may eternally sing the praises of ​Jesus, Mary and Joseph. ​by your kind patronage from danger freed."